Zwift only needs to know your wattage in order to get you moving in game (read how your speed is calculated in Zwift), and supports several methods for transferring your efforts into avatar momentum. The most accurate method (and also the most expensive) is to use a smart trainer and/or power meter. But Zwift also supports most non-smart (aka “classic” or “dumb”) trainers when coupled with a speed sensor (a simple device which counts your wheel rotations). You can tell what sort of power calculation method Zwifters are using by looking at their w/kg in the rider list in-game. A lightning bolt next to the number means their wattage is being read from a smart trainer or power meter. No lightning bolt? Their power numbers are being computed by Zwift based on wheel speed and a virtual power curve. The good folks at ZwiftHQ put many hours into testing an entire room full of classic trainers back in Zwift’s early days (trust me, I’ve seen the room!) They rode these trainers at various speeds using power meter-equipped bikes so they could create a “power curve” for each trainer. A power curve is basically a data lookup table which says “if the wheel is spinning at speed Y, the rider is putting out X watts.” See the Cyclops graph to the right as an example. Of course, virtual power isn’t as accurate as “real” power due to many variables in tires, trainers, and setup. But the calculated power curves deliver reasonably accurate numbers when set up properly. 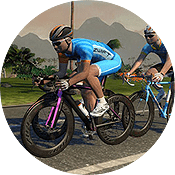 Virtual Power Classic Trainer and speed sensor: also capped at 1200 watts, this is larger list of classic trainers for which Zwift has calculated a specific power curve. As long as your trainer is set up properly (see below) your numbers should be fairly accurate when holding a particular wheel speed, but wattage during accelerations will be less accurate than zPower trainers. Unsupported Trainer and speed sensor: this is Zwift’s “last ditch” option. If your trainer isn’t on any of the previous lists you can choose this option and hope for the best. You will be capped at 400 watts. a road bike tire size of 700c x 23mm. If your trainer is not on the zPower or Virtual Power list, please do not select a different trainer and hope for the best. This can result in wildly inaccurate power numbers and you may get flagged as a “flier” in game. ZwiftHQ did a good job computing their virtual power curves, but it doesn’t hurt to verify your numbers by comparing them to your real-world performance. One easy way to do this is to choose a flat route for a ride in Zwift. Go out and do a good hard ride, then compare your average speed to a similar outdoor ride. Strava is a great tool for comparing indoor and outdoor rides. Many riders find their in-game speeds are much too fast, and the problem can be traced to having their trainer tension knob too loose. Try tightening it and testing until your in-game speed is closer to outdoor speeds for similar levels of exertion. Due to differences between riding in Zwift and riding outdoors, I would say if your Zwift speed is around 1mph faster than your outdoor speed you’re probably set up decently well. I’m wondering if that’s why I occasionally see a bike racing around at car speeds compared to the rest. I’m assuming that those just on to cheat the system will be shown the door. I’m continually amazed how good this platform is. Keep up the excellent work! Yes, this is why you get “fliers”–riders with inaccurate setups that put out significantly higher virtual wattage than they’re really putting out. ZwiftHQ has controls in place to automatically warn/block fliers, and other Zwifters can also report these riders. Yesterday, I was doing one of the Zwift races and about 5 minutes into the start I see bikes ahead of me jumping curves, going across the grass, riding off-road, etc – what’s the cause of this? It almost appeared that people joined the race not by joining the usual way, but by joining one of the riders in that race on startup? But what alternative does one have if one has a trainer that isn’t on the list of blessed trainers? My 10 year old son ride on Zwift with his 24 inches road bike on a Blackburn trackstand ultra with speed and cadence sensor. Since his wheels are smaller my guess is that the zpower could be wrong. Are you aware of a method to calibrate and reflect his wheel size? In the end It’s not that important since he really enjoy riding and collecting jerseys! Thanks for the reply. He’s mostly hovering at 60 watt so about 1.3 w/kg so I guess it’s not to far off. My wife had the same issue with 650c wheels. My solution was to put her rear wheel on my bike that has a power meter in her trainer. After that I paired the power meter to my iphone zwift app using my account(I changed my profile to female and her correct height and weight), and I paired the speed sensor to my PC using her account. I then pedaled the bike and adjusted the height and weight on her account on the PC until the W/Kg were identical to the W/Kg on the iPhone using the power meter. The power won’t be correct, but the W/Kg will be. Only issue is that she descends faster than she’s supposed to. We tried it out last night and it pretty much mimicked our typical outdoor road ride. My son also rides a 24″ bike on our trainer on Zwift. The trainer is capable of measuring power. The problem is that his W/kg is way too low because the minimum weight in Zwift is 99 pounds, and his weight is actually in the low 70s. This even though Zwift has a type of account specifically for preteen children. How can we deal with thes limitation? Hello, I have an smart trainer (not virtual), and I am riding my MTB on it, does it affects the watts I am producing on zwift? will I be slower than the rest riding road bikes on the trainers? I find it ironic that you published the Kurt Kinetic power curve, which is based on the Kurt Kinetic speed to power conversion formula. From my personal results (and from an unofficial spreadsheet showing the list of trainers and their Zwift power curves, which corresponds to my personal results), it is not the power formula/curve that Zwift uses. 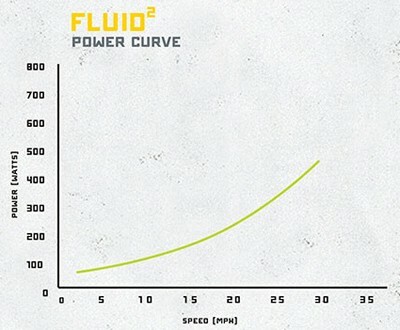 The Zwift power curve is 20-30 watts lower per mph at all speeds. I ride in Trainer Road and the curve is pretty spot on, but not in Zwift. Judging from other comments I’ve seen in the forum, I’m not the only one that is seeing these results from a Kurt Kinetic fluid trainer. The only semi-explanation I’ve seen is that Zwift thinks that Kinetic’s power numbers are too high. So, they know more than the manufacturer who has their business at stake in getting these numbers right? I’m slow anyway. I don’t need to be losing watts. 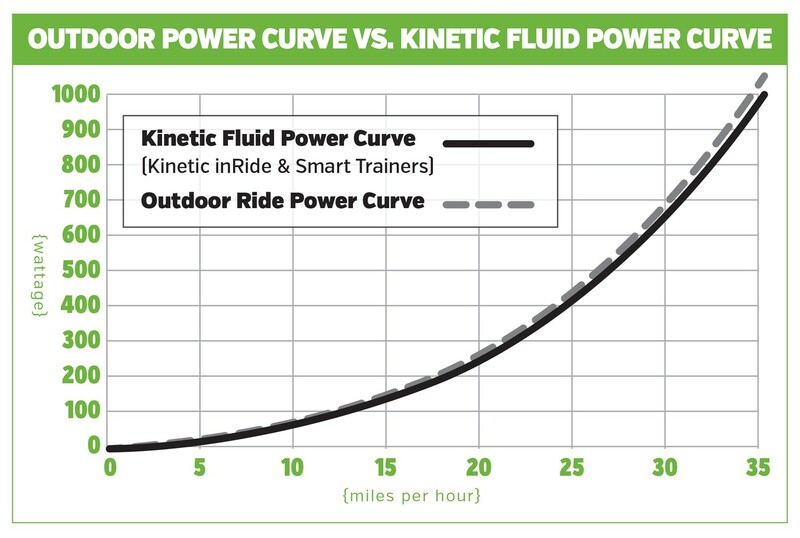 I’m not trying to gain any unfair advantage, but I have been experimenting with choosing another fluid trainer whose power curve is much closer to Kinetic’s published curve than is Zwift’s, and much closer to what I see on the road. Totally agree with the power differences. I find that ZWIFT is about 30 watts lower then trainer road at all speeds. I dont understand why ZWIFT wouldn’t just use the power curve given to them by KK them-self? 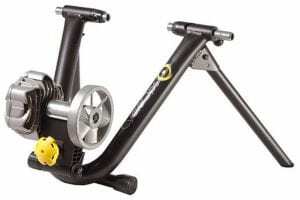 I recently bought a yellow CycleOps Fluid trainer. On the box it says Zwift is supported. I saw “online” that the Fluid and the Fuild2 were the same. They are not. 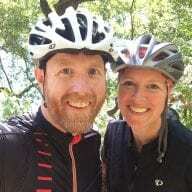 I sent a mail to Zwift and asked them. They confirmed that the Fluid is _not_ compatible (Benjamin Bishop (Zwift) ). After the mail I picked up a Fluid2. It “feels” about 30% harder. We’ll see if my recorded time are about 30% lower. I’ve done a full write up of my set up here: https://www.zachpfeffer.com/single-post/Zwift-for-37100. I detected a bit of animosity towards zPower in my race this evening. Somebody broke away from our group and the others wouldn’t help me to chase him. Someone said they don’t chase zPower riders. I’m also a zPower rider. I don’t think I’m cheating. My set-up is consistent and the pool of sweat under my bike is real. If people don’t want to race me because I have zPower, then I’m being deprived a full Zwift experience. I’m already tolerating being disqualified from most races. Maybe we shouldn’t be able to see who is and who isn’t using zPower? I’m considering asking Zwift if I can organise a league or series of races specifically for zPower riders.